Our goal at WakaTime is to improve your productivity using automated programming metrics. WakaTime Goals track your programming and remind you to code more, or congratulate you when you’ve met your productivity goals. Ability to exclude certain days. Take breaks on weekends and still meet your goal! 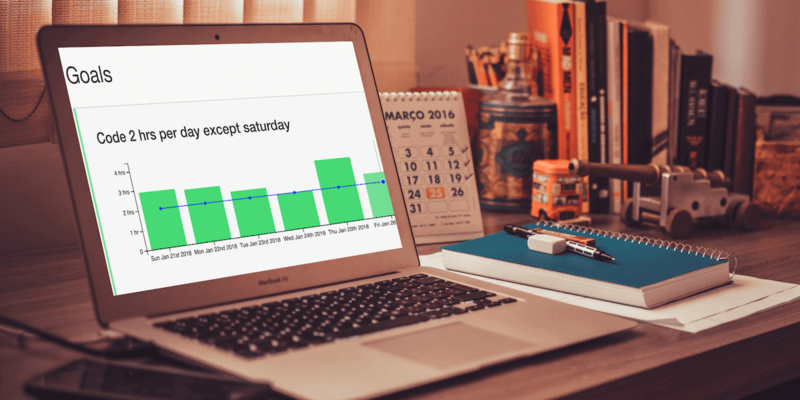 Richer email notifications with goal visualizations. To get started, setup a WakaTime programming goal for free today.